Many fans of the classic series will be happy to learn that Dan Nicholson has joined Riku Nuottajärvi on Star Control: Origins, bringing with them virtually all of the old music from the classic series with them (which we're in the process of updating). Those of you who have pre-ordered the game can sign up to test out Chapter 1 of the main game. This beta gets rolled out to people slowly so that we can get a constant stream of first impressions. The Chapter 1 beta testers give us great feedback on the core game elements, which lets us then iterate quickly on it. 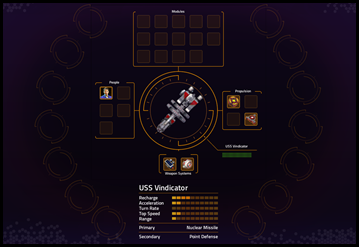 Star Control is the first time Stardock has ever had both of its game teams on a single game so we get through these iterations very fast. Then, we update the game and add another set of people to the beta to get their first impressions. Repeat for the next 3 months, and you have an idea of the plan. Star Control is about the story. There are no procedurally generated quests here. Every single mission, every single line of dialog, every "quest" you run into was hand-crafted by the Sci-Fi writing team here led by Chris Bucholz. 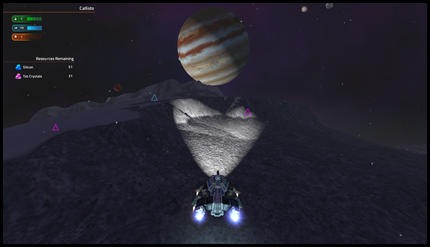 The Star Control galaxy sits on top of an AI simulation. That is, every second the rest of the galaxy is doing its thing. You are the hero of the story but you are a small part of a much bigger universe. 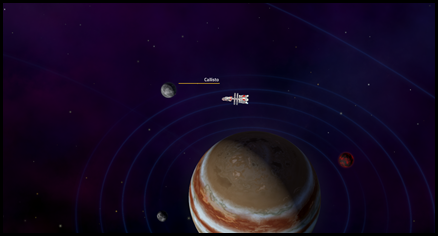 In Star Control, exploration is a means to an end. You are Captain Kirk, Lonestar, Malcom Reynolds - take your pick. You have a ship and you are on a mission or a job or a quest. It has been actually a challenge to get beta testers to not try to explore every planet in the solar system. Sure, you can land on every moon in the solar system (just like you can loot every house in town in Skyrim), but the question is: why do it? You are the captain of one ship. You are not building bases. You are not building an empire (at least not directly). Depending on your choices, perhaps you will be the spearhead of a Terran Empire but your job is to captain your ship, not manage an empire. As a primer, the year is 2088. That's 70 years from now. We've developed strong AI and those who created it immersed themselves within their own technological singularity...and then abruptly left Earth, causing the governments of the world to pool resources to build an international space exploration organization: Star Control. Naturally, once the immediate uproar had died down, the endeavor quickly stalled until one day, in late Summer 2088, an alien signal was detected. It's your job to find out what's going on and that begins an adventure that will change the course of human destiny. You can travel to the moon, land on it, visit it. Get to know it. But you don't have to. This isn't a game on rails. The only real gate you face is the fact that we humans in 2088 don't have faster-than-light travel. But that's not our fault. I mean, FTL in 2088? Come on (if I'm alive in 2088 I would be delighted to be proven wrong). But how that problem gets solved is a different, somewhat spoiler-y discussion. We didn't originally include Callisto but beta testers lobbied for it and we were happy to oblige. Your ship at the start..isn't great. One bright idea the scientists at Star Control had was to get the program to pay for itself by giving the ship a sophisticated element detection and collection system. 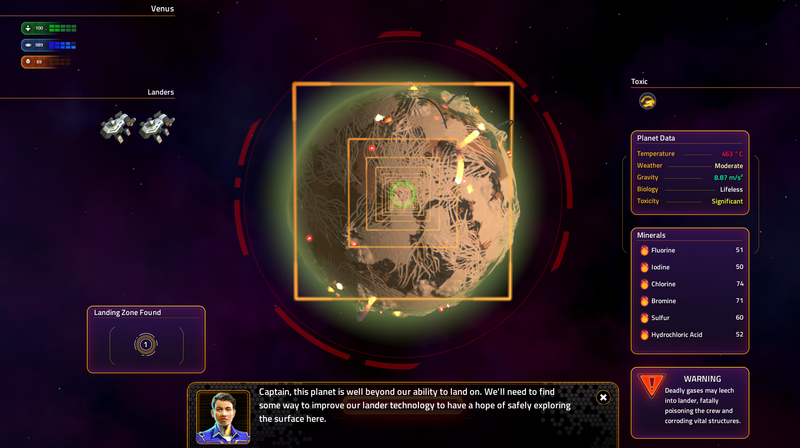 The Star Control lander program was designed to make it relatively easy to detect and collect valuable minerals. It mostly searches out for concentrations of pure elements as those are the easiest (and cheapest) to refine into the slurry known as resource units. Once in awhile, you will find truly exotic and even theoretical elements such as Tzo crystals which are formed in the crust of Neutron stars. They are extremely rare and valuable. "It's because of me they had to put up a warning sign." Some spacial bodies you cannot land on. For example, you can't land on the sun. Not even at night. Venus is not a planet we can land on in 2088 with even our state of the art technology. Before the Chapter 1 beta began, we had the color coded Planet Data area. However, many a Founder died trying to land on Venus. So then we added the scary warning box in the bottom right. Still, people died. Finally, we have had Lt. Kerry straight out tell you not to try to land on Venus. I still think people will die. We want to make sure we hook the player. Star Control is special. There is no other game quite like it. Its awesomeness must be apparent very quickly. That means the story needs to draw you in, the gameplay needs to be compelling and the performance has to excellent on your setup. Those of you who have pre-ordered the game can sign up to test out Chapter 1 of the main game. 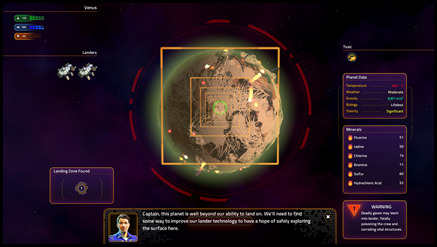 The Star Control galaxy sits on top of an AI simulation. That is, every second the rest of the galaxy is doing its thing. That's something I've been wondering about since I first heard about it. How extensive is "doing its thing"? Is there diplomacy going on? Are planets being conquered, whether by war or economics? Can we change that by stomping all over an invasion before it happens, even if it's not part of the story? The story isn't on rails, as you say, but...how much can we disrupt what would otherwise happen had we not been there to do it? It sounds amazing, whatever it is, but...I'm very curious what to expect. In Star Control, exploration is a means to an end. You are Captain Kirk, Lonestar, Malcom Reynolds - take your pick. Honor Harrington. Or possibly Miles Vorkosigan. 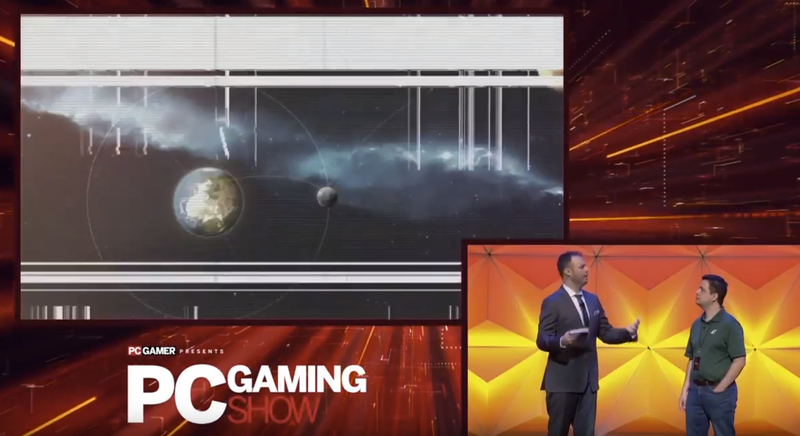 Sure, you can land on every moon in the solar system (just like you can loot every house in town in Skyrim), but the question is: why do it? That was a large part of the fun of Star Control 2! The universe was huge and--for the time--that was kinna unique. There was just so much to see! And, given what we've been teased with in the trailers, the worlds we can explore in SCO are the same concept...times ten. At least. Why would we not want to explore them all! You can travel to the moon, land on it, visit it. Get to know it. But you don't have to. Okay, that explains the character for the Earthling ship in Fleet Battles. I'd been wondering. 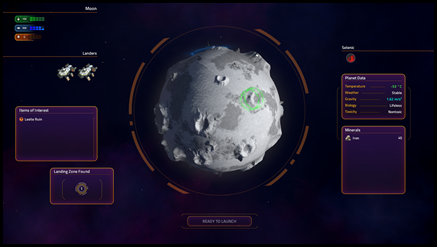 The Star Control lander program was designed to make it relatively easy to detect and collect valuable minerals. It looks like it hovers. PLEASE tell me this means we aren't vulnerable to tectonics in SCO! You managed that before I ever played the game. Oh. I was kinna hoping there'd be some sort of update to Fleet Battles. 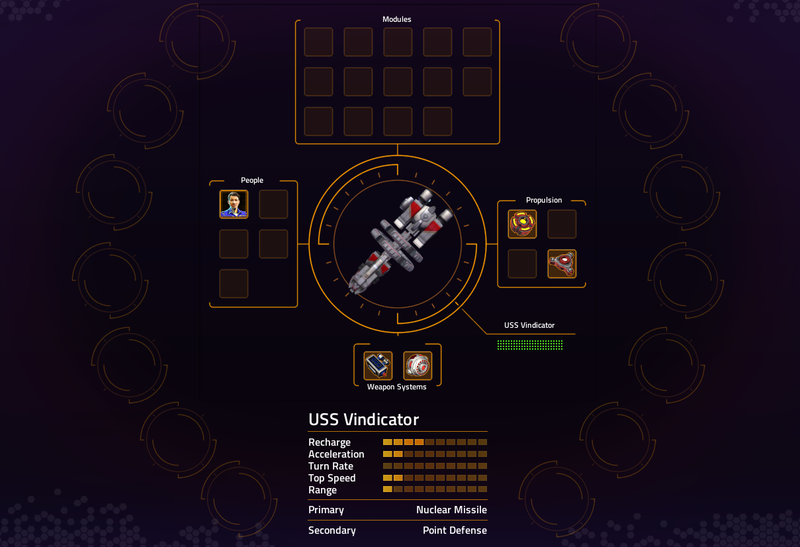 New weapons or ships or something. Alas. Still...looking forward to it! And, darn it, pick me for beta testing or I will give you a severe--and I mean SEVERE!--talking to! Snorts.... Bionic... you are just a delight to read. You basically took the words out of my mouth. Bionic... you are just a delight to read. Looking cool. Will it be possible to explore Venus later with appropriate tech like shields or something? It has been actually a challenge to get beta testers to not try to explore every planet in the solar system. Sure, you can land on every moon in the solar system (just like you can loot every house in town in Skyrim), but the question is: why do it? Because there are resources we need to harvest? Because you made it fun to explore? Because in the tutorial alone there's a Lexite site and an alien artifact, and there might be more stuff out there? Seriously, you guys made it fun and profitable to explore and then say don't do it? Well if I want to visit that Lexite ruin and get a lander upgrade, I kinda do, don't I? I *think* what you're trying to get across is that you can do anything you want in this game, it's all about choices. Obviously the player base really really chooses to explore. You've given us a beautiful, fascinating universe and lots of reasons to visit every moon/planet out there - resources, ruins, what planets look like, even the different types of planets and their stats if you're into that kind of thing (I am!). Why wouldn't we want to explore it? That was part of the fun of SC2, and it's fun now. Oh we want you to go there. We just want to make sure you wait until you're ready.